The Lifeline VIEW makes it easier for anyone – from first responders to untrained bystanders – to respond confidently and appropriately during an emergency. This revolutionary life-saving device combines a sleek, user-friendly design with military-grade specifications – including the most proven biphasic waveform. It’s also the first and only AED with a full-color interactive display that shows step-by-step videos for performing CPR, rescue breathing and external defibrillation. You can also be confident that the device will be easy to maintain and rescue ready. 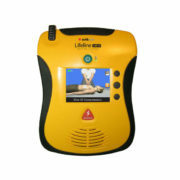 The Lifeline VIEW provides clear guidance for using and maintaining the device. Additionally, it has been designed to support upgrades and enhancements. The Lifeline VIEW makes it easy for anyone – from first responders to untrained bystanders – to respond confidently and appropriately during an emergency. including the most proven biphasic waveform. 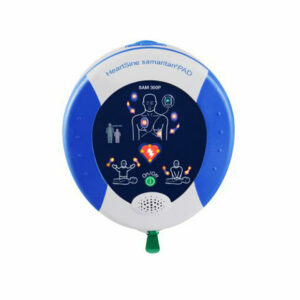 It’s also the first and only AED with a full-color interactive display that shows step-by-step videos for performing CPR, rescue breathing and external defibrillation. When sudden cardiac arrest strikes, your AED needs to be ready – and you need to feel confident that it’s ready. The LifelineVIEW runs extensive self tests daily to ensure that it’s working properly and indicates ready status with a bright, easy to see flashing indicator. 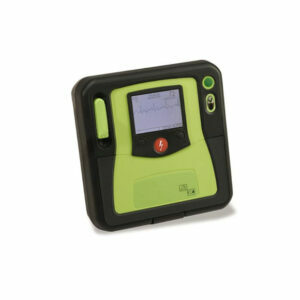 Most other AEDs only signal when there’s a problem leaving users to search for key pieces of information. The Lifeline VIEW is different. With the touch of a button – and without turning on the device itself – a user can quickly check that the AED is rescue ready. 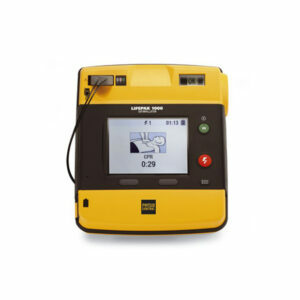 The device instantly communicates the operational status of the AED, battery, and pads. Using the Lifeline VIEW is like having a personal coach at your side. It shows you videos on how to use the device – from preparing the patient to opening and connecting the pads, applying the pads to the patient and delivering the shocks. It even walks you through the steps for effective CPR and rescue breathing. And it can show you any of those tasks as many times as you need to perform with absolute confidence. 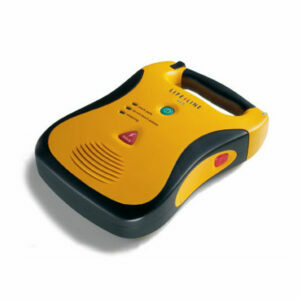 Maintaining an AED has never been easier. The Lifeline VIEW has revolutionized AED maintenance – providing convenient self-tests and clear video instructions for checking and changing the pads, battery pack and data card. Other AEDs tell you what they’re doing. The Lifeline VIEW, with its full-color, detailed, interactive videos, also shows you. It delivers clear text and corresponding videos that reinforce the voice instructions and aid comprehension – especially in noisy environments where voice prompts alone might be difficult to follow.